With spring officially here, now is the time to start sprucing up your home and give it a well-deserved deep cleaning to get rid of wintertime dust and dirt. While you might want to jump head-first into tackling your carpeting and upholstery, since these items are the most noticed, they are not the best places to start your spring cleaning. Why? Quite simply because you will only make them dirty again and need to repeat cleaning processes. Rather you want to start by spring cleaning from the top of the room down towards the floors. Dust and cobwebs need to be wiped away from ceilings, crown molding, and ceiling fans and light fixtures first. During the dusting process, no matter how hard we try, some of the dust and dirt is going to fall onto our furniture and the carpeting. Next, dust off pictures, shelving, entertainment centres, and other furniture. If you have a fireplace in the room, this is a great time to clean it out, too and wipe down the mantle. Once you have all the other areas and items in the room cleaned, now you are ready to deep clean the carpeting and upholstery. 1. Vacuum the upholstery. Remove cushions and remember to get underneath and down the sides. 2. Remove the furniture from the room. If you want to best results, you need to take everything out of the room. People are often surprised to find tears, rips, stains, and other such messes in their carpeting that were hiding under their furniture. 3. Vacuum the carpeting. Once the room has been cleared, vacuum the entire room. If you had bigger pieces you were not able to remove, vacuum around them and then slide them out of the way to get underneath. 4. Have tears, rips, and stains repaired. Depending on the age of your carpeting and volume of traffic – most last on average around ten years – you will want to get these types of damages fixed to extend the life of the carpeting. 5. Have the carpet professionally cleaned. Your vacuum cleaner only gets out so much dirt, dust, pet dander, and allergens. Professional cleaners have the equipment needed to get down deep into the carpeting and released trapped dirt, stains, and debris for the best results, as well as the equipment to work with a wide array of different types of carpeting. 6. Have the upholstery professionally repaired/cleaned. Just like your carpeting, it is a good idea to enlist the help of a professional to deal with snags, tears, and rips in the upholstery and also give it a deep cleaning. 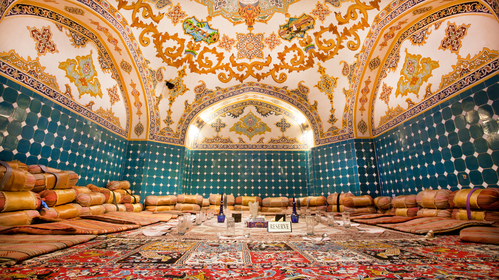 Once the carpeting and upholstery are dry, you are free to put items back into the room. This may also be a great time to rearrange the room and give it a new appearance! For further information about carpet repairs, cleaning, and stretching services, as well as upholstery cleaning services, contact the carpeting and upholstery experts at Dr. Carpet by calling 647.800.5199 today! Restaurants are one type of commercial business that sees a much higher volume of carpet traffic, compared to the carpeting found in a private office or even the carpeting within your home. Even though restaurants use durable, high traffic carpets designed to last, the problem is they do get dirtier faster from your customers, employees, and vendors, requiring more frequent cleanings. 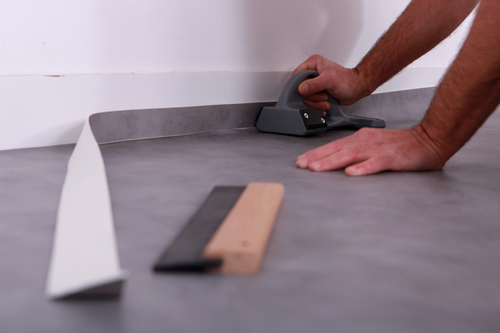 Maintenance of restaurant carpets should be just like any other maintenance you perform on a regular and daily basis. Carpets need to be vacuumed every day. You should not neglect the areas under chairs and tables, and these should be moved to ensure all food, dirt, and debris is removed. Customers and employees will also have accidents, where food and beverages can get spilled, so these need to be cleaned up right away, too, otherwise staining can occur. If you notice signs where carpeting appears worn, looks thin, or is starting to fray, these areas of the carpeting need to be repaired immediately to avoid accidental slips, trips, and falls, which could result in personal injuries. The volume of carpet traffic. For higher volume restaurants, dirt and debris will accumulate faster, so cleanings should be more often. The time of year. The winter months can be extremely hard on carpeting with salt, sand, and water being tracked inside. If we have an excessive amount of snow, carpets could require cleaning every month or two just during the wintertime. Carpet manufacturer warranty recommendations/requirements. Most carpet manufacturers require carpets be cleaned at specific intervals to maintain the warranty. The frequency of spot cleaning and vacuuming. If you are not keeping up on regular spot cleaning and vacuuming, carpets should be cleaned more often to avoid damaging the fibres. Due to these variations, most restaurants follow a schedule where they have their carpets cleaned every three to four months, and make adjustments based upon the above factors, as needed. One beneficial option that can help extend the life of carpeting and reduce the frequency of cleanings is using high quality and durable mats in different locations inside the restaurant. For instance, you will want entry mats outside the doorway and inside the entrance to the restaurant. You may also want to have mats placed in locations where employees enter and leave the kitchen to catch some of the grease and debris and prevent it from getting into the carpets. Floor mats should be cleaned daily and changed out on a regular basis. If you use carpeted mats, have these professionally cleaned on a monthly basis. If you need your restaurant’s carpets cleaned or need carpeting repaired, please feel free to call Dr. Carpet at 647.800.5199 today! When you think about the perfect wintertime setting, you might picture new fallen snow blanketing the city and creating stunning scenery at local parks and outdoor ice skating rinks. Someone else might picture a roaring fire in the fireplace and being curled up on the sofa soaking that heat up while enjoying their favourite book. No matter what images come to your mind, one thing is for certain – Our carpeting can be seriously abused during the winter months. From rain, snow, and ice to salt and dirt, there are all sorts of “outdoor” items that are easy to track into the home and get onto and into carpeting. Plus, if you have a fireplace or wood burning stove in your home, you can accidently drop ashes onto the carpeting while cleaning it out. Use high quality entry mats at entrances to the home. You would be surprised by how many homes do not have entry mats to help collect snow, water, dirt, and other debris and stop it from getting inside. A good mat will be thick and sturdy to stand up to the cold outdoors. It is also beneficial to use a second mat inside entry ways for even more protection. Always remove shoes after coming indoors. Even if you have a mix of carpeting and hardwood floors in your home, removing your shoes prevents the transfer of dirt and helps keep the home cleaner. You can use extra floor mats to place wet shoes and boots on, as well as a shoe/boot storage unit to keep them organized and out of the way. Before cleaning wood burning appliances, put down a large plastic trash bag over the flooring. Most fireplaces and wood burning stoves have some sort of stone finishing around them, but could be located in rooms where there is also carpeting. Placing the trash bag down will help prevent ashes from accidently getting into the carpeting. After you clean out the fireplace or stove, use a small brush and dust pan around the outside to clean up any ashes you dropped, then carefully roll up the plastic bag. Even with your best efforts, dirt, salt, and other soil could get into the carpeting. Vacuuming will help prevent it from getting too deep into the carpeting and prevent damaging carpet fibres. Make sure small tears, rips, and snags are repaired promptly. If you notice damage has occurred, do not wait to have it fixed. Waiting will allow the problem to worsen, which can be more costly to fix later. Once winter is over, remember to get your carpets cleaned with our professional carpeting cleaning services. In fact, most carpet manufacturers require you to have them cleaned at least once every 12 to 18 months to avoid voiding your warranty. 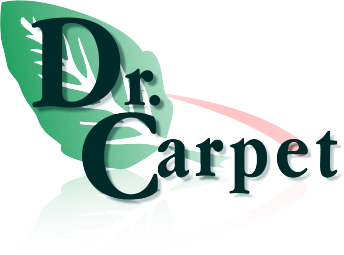 Please feel free to call the carpeting experts at Dr. Carpet at 647.800.5199 for all of your carpet patching, repair, cleaning, and stretching services today!